Grand Central Publishing, 9780446198233, 320pp. It is the Summer of Love and Easy Rawlins is contemplating robbing an armored car. It's farther outside the law than Easy has ever traveled, but his daughter, Feather, needs a medical treatment that costs far more than Easy can earn or borrow in time. And his friend, Mouse, tells him it's a cinch. Then another friend, Saul Lynx, offers him a job that might solve Easy's problem without jail time. He has to track the disappearance of an eccentric, prominent attorney. An assistant, of sorts, the beautiful 'Cinnamon' Cargill is gone as well. Easy can tell there is much more than he is being told...Robert Lee, his new employer, is a suspect in the attorney's disappearance. But his need overcomes all concerns, and he plunges into unfamiliar territory, from the newfound hippie enclaves to a vicious plot that stretches back to the battlefields of Europe. 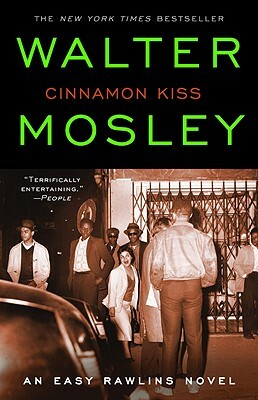 The New York Times said of Mosley's bestseller, Little Scarlet, "Nobody, but nobody, writes this stuff like Mosley."